Voice over Internet Protocol (VoIP) phone service is a rapidly growing alternative to traditional phone service. Its popularity is fueled primarily by low prices, new features and the consumer's ability to choose a phone number from nearly anywhere in the country (and sometimes, other countries). Many industry experts anticipate VoIP's growth will outpace the growth seen by the wireless industry in the last decade. While VoIP is an attractive option, it is important for consumers to understand the potential limitations the technology has with respect to accessing 9-1-1. 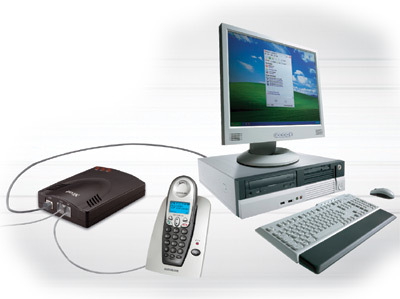 For further information regarding VoIP, visit the web site www.911voip.org. 911VoIP.org was formed by four Texas 9-1-1 agencies that recognized the importance of educating the public on the potential limitations of VoIP when making calls to 9-1-1. The contributing agencies to this public education campaign are the Denco Area 9-1-1 District, Greater Harris County 911 District, North Central Texas Council of Governments, and Tarrant County 9-1-1 District. The National Emergency Number Association (NENA) has since assumed site responsibility and its content management is under direction of NENA's public education committee. NENA has an outstanding web site www.nena.org. The FCC has mandated that all VoIP providers include full, default access to 9-1-1 services (the customer doesn't have to request it) and that providers require a default physical location when setting up the account. This is the information that will be passed to the PSAP if you call 9-1-1 from that account. It's unclear whether all VoIP providers have reached full FCC compliance at this time, so read your VoIP service agreement carefully to see if you need to give your service provider additional information (such as a default address) in order to have full 9-1-1 capabilities. Remember also that VoIP systems can go down if the power is out or your broadband connection fails, so you may want to get a generator to supply power to your VoIP phone line. You might also consider maintaining a regular phone line in the event that you can't call out from your VoIP phone.